Belize City, April 2017— Leaders from the GOJoven Guatemala, GOJoven Mexico, GOBelize and GOJoven Honduras Associations convened in Belize City on April 8th and 9th, 2017, to dialogue and build consensus around the creation of a new, formalized GOJoven Network. The Network is made up of the four GOJoven Associations, which committed to sustaining it through the active participation of their members, employees and volunteers. Together they are dedicated to redoubling their efforts to promote comprehensive youth development in the Americas, with an emphasis on sexual and reproductive health and rights and human rights. The new Network will operate based on the same values that guided the GOJoven Program during its more than 13 years of work in the region, namely: We can change the world by investing in youth; different points of view make us stronger; and systems change when youth get involved. 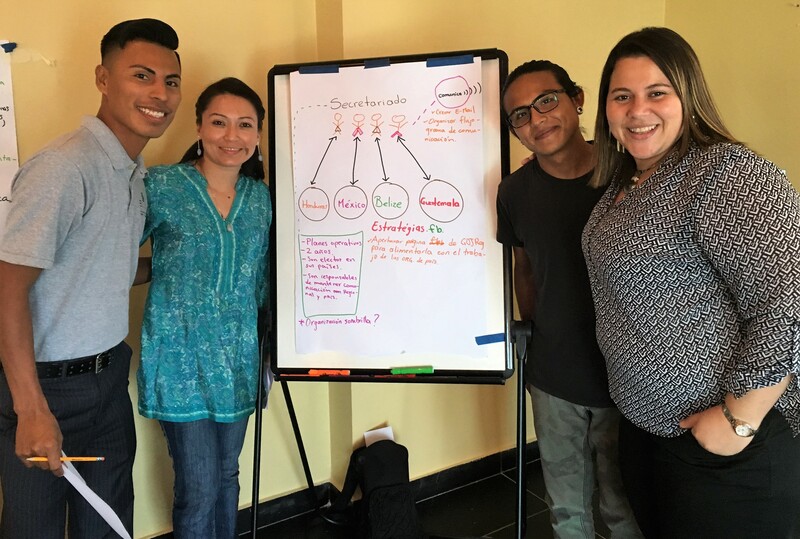 Taking into account the four GOJoven Associations’ common objectives, priorities and history—having been founded by alumni of PHI’s GOJoven International capacity-building fellowship program–, the creation of this formal network was seen as an important next step for GOJoven. 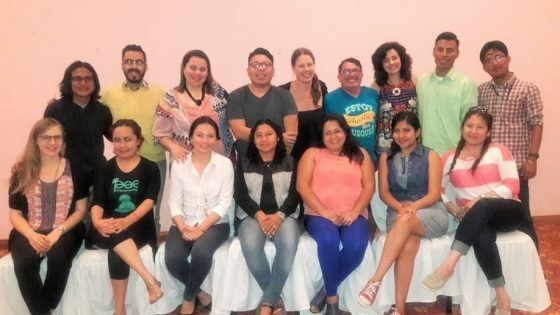 One of the Associations’ common priorities is addressing and reducing the major inequities in sexual and reproductive health and rights (SRHR) that youth face in the Mesoamerican region. This strategic decision was based on the results network mapping, a SWOT analysis, and surveys and interviews conducted with internal and external GOJoven stakeholders. Strengthen the GOJoven associations and the GOJoven Network to serve as key points of reference on SRHR in the region. Currently in their strategic planning phase, the Network will begin to o perate officially in June 2017, with the implementation of its governance structure and work plan. During the current interim period, each GOJoven Association will continue to be represented by those who attended this founding meeting: the Executive Director, a Board of Directors member, and another alumnus member of each respective Association, by which they were selected. The following people also participated in this founding meeting to provide technical assistance: Esther Tahrir and Susanna Moore, GOJoven International Director and Project Manager, respectively, who lead GOJoven International at the Public Health Institute; Kathy Hall, Program Director at the Summit Foundation as GOJoven funder; Ricardo Baruch as SRHR network expert and facilitator; and GOJoven Evaluator, Julie Solomon.